Father Philip E. Thompson, pastor of St. Pius X Parish in Cedar Rapids, was born April 4, 1952, in Dubuque to Earl and Katherine (Flynn) Thompson. He graduated from ­Loras College in 1974 and completed his theological studies at St. Meinrad Seminary in St. Meinrad, Indiana. He later earned two advanced degrees — a master’s in religious education from the University of San Francisco in 1984 and a master’s in secondary school administration from Loras College in 1986. He was ordained June 3, 1978, at St. Columbkille Church in Dubuque by Archbishop James J. Byrne. 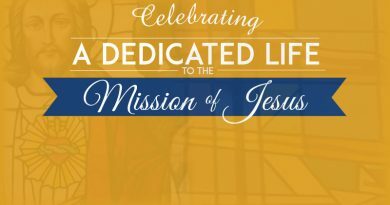 He served as associate pastor of St. John Parish in Independence and as a member of the faculty at St. John High School, 1978-81; and associate pastor of All Saints Parish, Rowley, 1978-81. He was part of team ministry in Mason City and Plymouth, 1981-84; and associate pastor of St. Patrick’s in Cedar Rapids and a member of the faculty of the former LaSalle High School, 1984-85. He served as pastor of St. Joseph Parish in Rickardsville and principal of Leo High School in Holy Cross, 1985-87; pastor of Holy Cross Parish in Holy Cross and executive coordinator of Leo High School, while continuing as principal, 1987-89. He was pastor of Holy Trinity Parish in Walford and executive coordinator and principal of LaSalle High School in Cedar Rapids, 1989-91. He was pastor of Immaculate Conception in Gilbertville, executive coordinator of Don Bosco High School, also in Gilbertville, and executive secretary of the Gilbertville-Raymond Consolidation, 1997-2000. He was named founding pastor of John XXIII Parish in Cedar Rapids in 2000, and administrator of St. Patrick’s in Fairfax in 2001. He was also administrator of Holy Trinity Parish in Walford from 2001 until it closed in 2002. He was named pastor of St. Patrick Parish in Cedar Rapids in 2008, helping the parish to recover from the devastating flood of that June. 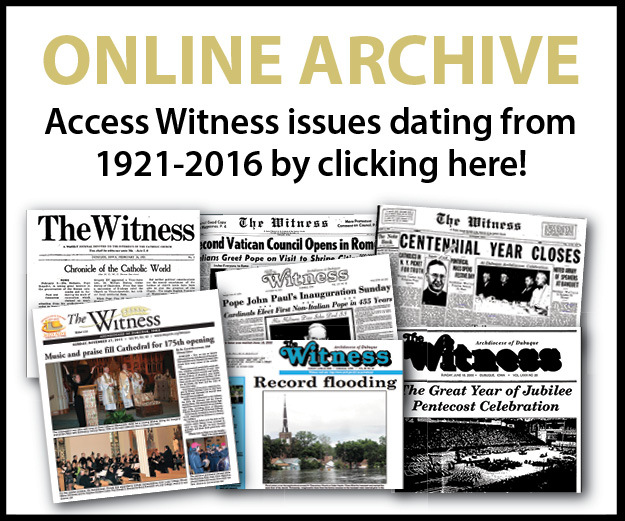 In 2010 he assumed his current assignment as pastor of St. Pius X in Cedar Rapids. He also serves as pastoral coordinator of Xavier High School and the Xavier Foundation. Since 2016 he has also served as the priest supervisor of St. John the Baptist in Mt. Vernon and St. Isidore in Springville. He has served on the Priests’ Council as a member and chair, the Iowa Catholic Conference, the Archdiocesan Catholic School Board, the Priests’ Personnel Advisory Board, and the Archdiocesan College of Consultors. St. Pius X Parish is planning a celebration for Father Thompson’s anniversary on the Feast of Corpus Christi, Sunday, June 3, with a special Mass at 1 p.m., followed by a reception in the parish hall until 4:30. All are invited. Father Paul E. Lippstock, sacramental priest for the parishes of the Arch­angels Cluster (St. Patrick in Britt, St. Patrick in Buffalo Center, St. Wenceslaus in Duncan, St. James in Forest City, St. Boniface in Garner and St. Patrick in Lake Mills) is celebrating the 40th anniversary of his ordination to the priesthood. Father Lippstock was born Dec. 6, 1951, in Dubuque to Merlin and Joy (Rowell) Lippstock. He graduated from Loras College in Dubuque in 1974 and completed his theological studies at The St. Paul Seminary in St. Paul, Minnesota. He earned a master’s degree in secondary guidance and counseling from the University of Northern Iowa in Cedar Falls in 1984. He was ordained to the priesthood on May 27, 1978, at St. Joseph Parish in Key West by Bishop Francis J. Dunn. 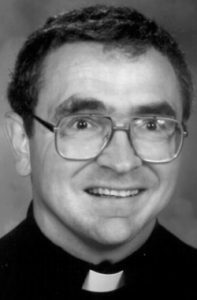 He served as associate pastor of St. Mary Parish in Dike and St. Patrick Parish in Cedar Falls, 1978-84, while also serving on the faculty of Columbus High School in Waterloo. He was part of team ministry in Mason City and Plymouth, 1984-85. 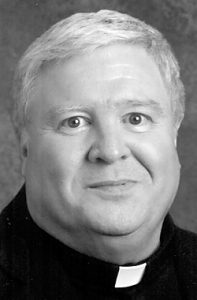 He was associate pastor of Holy Family Parish and a member of the Newman High School faculty in Mason City, 1984-91. 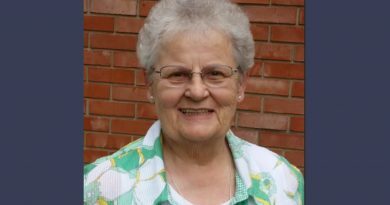 He served as associate pastor of Blessed Sacrament Parish in Waterloo and as a member of the Columbus High School faculty, 1991-2000. He was pastor of St. Mary Parish in Waterloo, 2000-02. He was the sacramental priest for the parishes of St. John in Andrew, Holy Rosary in La Motte, Holy Trinity in Otter Creek Township, St. Theresa in St. Theresa and Assumption in Sylvia, as well as a member of the staff at Marquette High School in Bellevue, 2004-06. He was the parish administrator for St. Francis Xavier Parish in Belmond, St. John Parish in Clarion and Sacred Heart Parish in Eagle Grove in 2008. He was the pastor for St. Joseph Parish in Preston and SS. Peter and Paul Parish in Springbrook and the sacramental priest for St. John Parish in Andrew and St. ­Peter Parish in Sabula, 2008-11. He has served the Archangels Cluster in the Forest City area since 2011. Father Lippstock served in the Iowa Army National Guard from 1991 until retirement in 2013 as the Iowa State Command Chaplain at Joint Forces Headquarters in Johnston. He was deployed twice as a U.S. Army National Guard chaplain for a tour of duty in the Middle East, first to Sinai, Egypt, 2003-04, and then to Iraq, 2006-08. The people of the archdiocese are invited to celebrate the 40th anniversary of Father Lippstock’s ordination on Sunday, May 27, 2018, with a 2 p.m. Mass at St. Wenceslaus in Duncan. There will be a reception and sit-down dinner to follow. People may stop by anytime between 3:30 p.m. and 6:30 p.m. at the community hall in Duncan.